#1 My husband and I celebrate 11 years of marriage tomorrow, November 20th! Yay! Eleven years! Actually, I’m really celebrating for my husband’s sake because he has to live with me. Lucky dog. #2 I have been meaning to thank Rashelle Workman over at No. 2 Pencil Stat for the nice “Irresistible Blog Award” she passed my way a week or so ago. 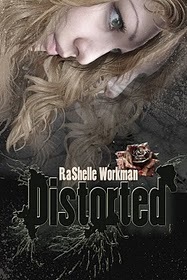 She is a fiction writer whose book, Distorted, is set to be published in June 2011. Her novel is about five people helping “a young woman decide between following her heart and losing her soul.” Congratulations, Rashelle! Because their blogs make me smile consistently, I am passing this award on to Joey at Big Teeth & Clouds, Stephanie S. at A Day in the Life of a Grad Student’s Wife and Kimberly with All Work and No Play Makes Mommy Go Something Something. #3 Aren’t sloths just adorable? Don’t you just want to take him home and let him sleep beside your bed in a sleeping bag? Feed him Lucky Charms in the morning? Brush his hair every day? Actually, I’m having a bit of dilemma here. I can’t decide between Sloth A or Sloth B. Which one? Thanks for your help! Now click on the “Instant Transporter Button” below to be whisked to my embarrassing post over at The Meditative Mom’s site in seconds!